New version will be released this week. Mainly i put a lot of effort making it more dynamic and balanced,so don't expect much of new,however I included something new to this version.Its Xanxus,2 cambio formas.And again.Lots of balance updates. Xanxus is a new character.He has 2 skill sets,so don't annoy me with "wtf he has only 3-4 skills@! ",I'll just ignore it,since he have 3 skills while not dead + passive,and 3 new skills after being revived. Again.Early gama release means,I haven't finished with other skills in his Movelist.Don't be afraid.After this version comes out,I'll quickly fix bugs and finish other Xanxus skills. New version will consist of 2 parts. 0.4 part 1 - which comes this week. 0.4 part 2 - which comes quickly after 0.4 part 1,with every stuff I wanted to include. New secret character will be released with 0.4 part 2 version. 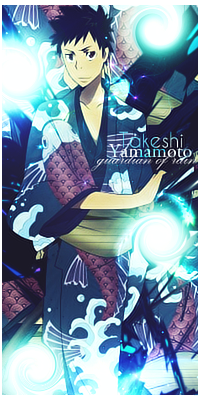 It'll be a protagonist of the Ao no Exorcist series. Also info about Giotto.I haven't touched him for 0.4 part 1.But expect a lot of updates regarding Vongola Primo in 0.4 part 2. I plan on making some story mode for 0.4 part 2.So there are chances of not very quick release. I know it's that easy to make a mod..